Happy Friday!!! I always love sharing some awesome moments from my week with you. So let's get started. 1.) My parents made a quick trip up to see us so they could bring some boxes and other moving supplies. 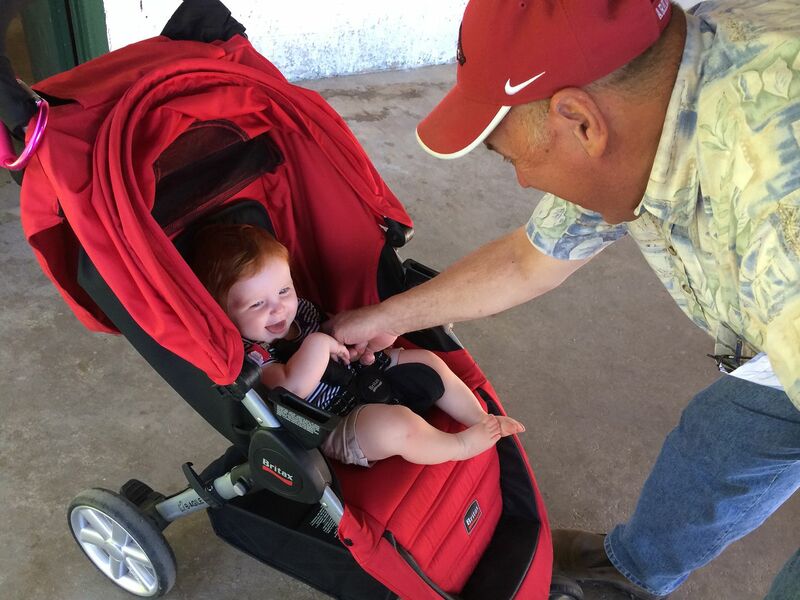 While here they got in plenty of laughs with Baby K, its so great to see my parents enjoying my child. 2.) We took Baby K to see some more sights around D.C. before we move. 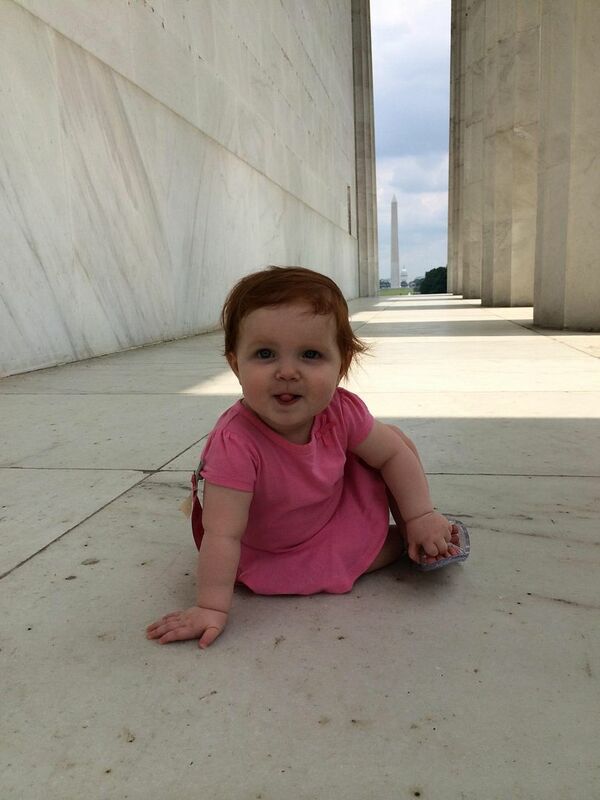 Here she is just hanging out at the Lincoln Memorial (you can see the Washington Monument behind her). 3.) Some leaders on my Rodan + Fields team offer up some fab perks; I scored these Tory Burch flip flops for being an active participant in a training call. 4.) 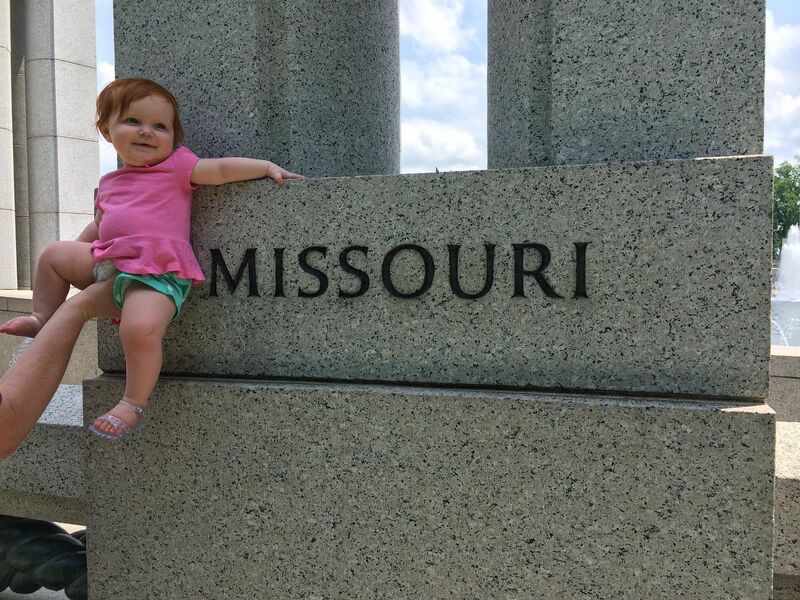 On our D.C. tour we stopped at the World War II Memorial and took Baby K's picture with every state that she has visited. This was my favorite of all of the pictures. 5.) When my parents were visiting, they brought my sister's dog Madison with them. 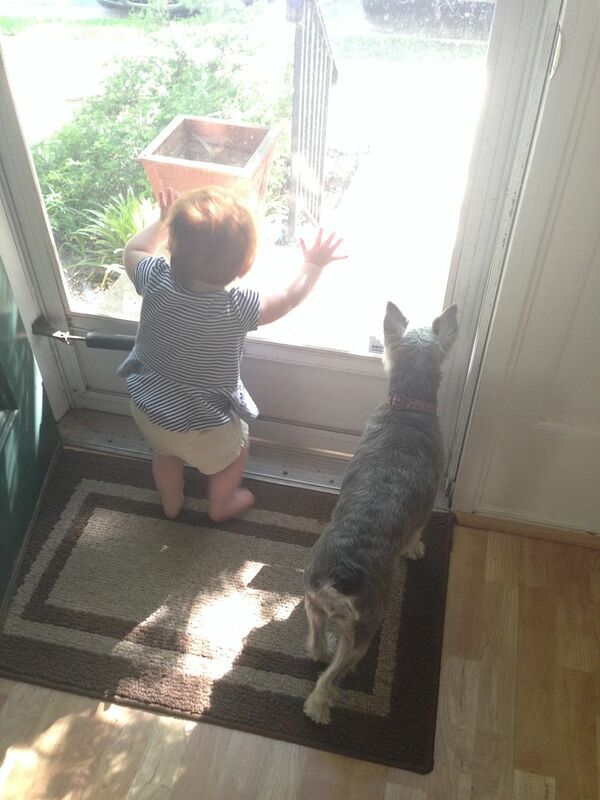 This pic of Madison and Baby K checking on things outside is just too cute. Hope you all enjoy the weekend! Linking up this High Five For Friday post with Lauren Elizabeth. congrats on winning the sandals. I love that picture of her and Madison. So cute! wish you weren't going...but excited for you and the next chapter! 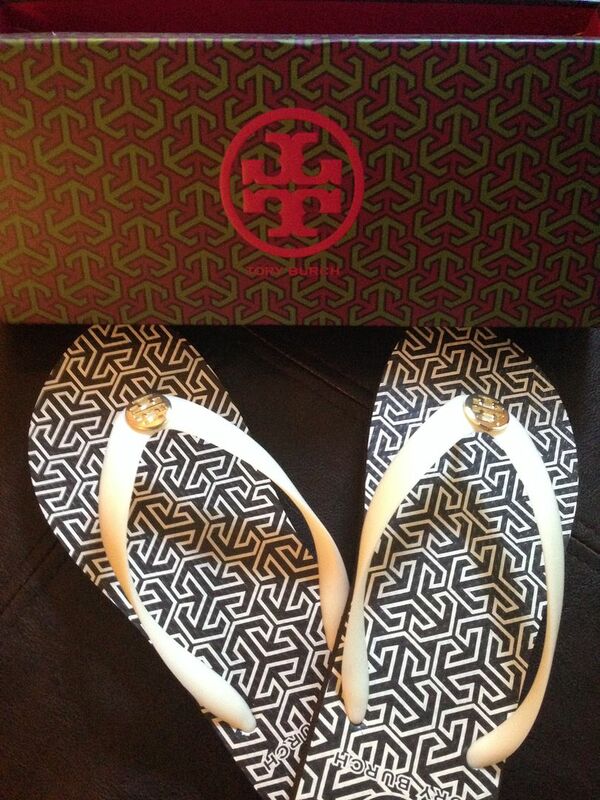 Love the Tory Burch flip flops.